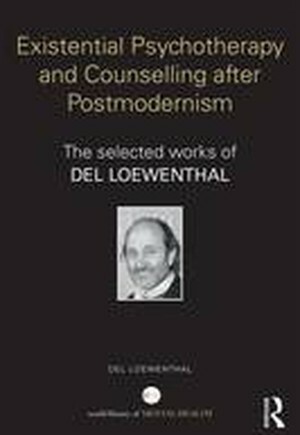 Del Loewenthal's career has been wide-ranging, spanning existentialism, psychoanalysis, critical psychotherapy, humanism, postmodernism, phototherapy, cognitive behaviour therapy and childhood studies. This collection combines new and recent works with earlier writings, drawing together his outstanding research and contribution to existential theory, practice and research. Containing chapters and papers chosen by Loewenthal himself, the book is divided into the following sections: Existentialism after postmodernism and the psychological therapies Practice, ideologies and politics: Now you see it, now you don t! Practice, practice issues and the nature of psychotherapeutic knowledge Practice and theory: Implications not applications Thoughtful practice and research Conclusion: Hopefully unending, continually changing and astonishing After an introduction to the overall book, each section is accompanied by the author's exploration of his further thoughts on the pieces, his own subsequent learning and his comments on developments in the field since the time of writing." Existential Psychotherapy and Counselling after Postmodernism" will be inspiring reading for psychotherapists, psychoanalysts, counsellors, other mental health professionals in general, and existential therapists in particular. "